Hello World! 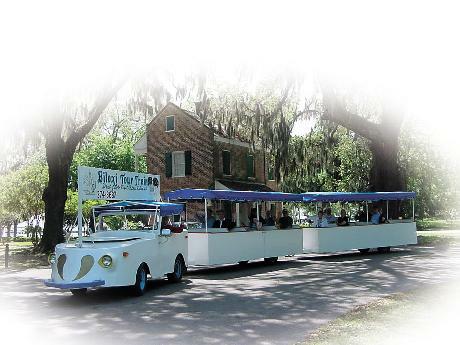 I am Carla Beaugez Taconi, owner and operator of Biloxi Historic Tours and the Biloxi Tour Train. Many people know my passion for, and love of, my birth city, Biloxi. I was raised across Back Bay in St. Martin and at an early age recognized the unique qualities of family heritages all along the Mississippi Gulf Coast. As a child, excited by the sight of the Biloxi Shrimp Train, I didn't know then it would be in my future. I never planned to do what I do but people who know me say I was born for it. As I begin my twenty-fifth year meeting the world I appreciate their words of gratitude and everyone who has rolled along with us. And, I am most thankful to the humblest of humanity, the Biloxians who span the ethnic spectrum that defines us and whose heritage we share. And those individuals, past and present, who always cheered on the Shrimp Train. If you would like to experience this one-of-a-kind adventure, please call. I look forward to meeting you! Visitors joining us for a tour aboard the Biloxi Tour Train will travel with a family whose uplines stretch from Biloxi to Europe. August, Carla and daughter Aris are natives to the Biloxi and Ocean Springs communities. We were raised in the Bay area triangle of Biloxi, St. Martin and Ocean Springs. Come experience down-home hospitality with the Beaugez-Taconi family in one of the friendliest places in America, Biloxi, Mississippi.